Homelike, a Cologne, Germany-based online marketplace for long-term furnished business apartments, raised $14m in funding. The round was led by Spark Capital with participation from existing investors Cherry Ventures, Lürssen and coparion. The company intends to use the funds to scale the company, improving technology and product in order to further strengthen its market position, expand its apartment portfolio into new international business travel destinations. 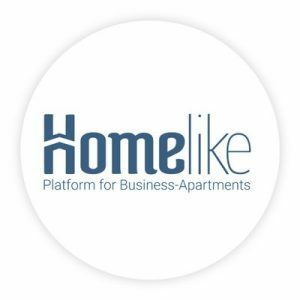 Founded in 2015 by Dustin Figge and Christoph Kasper, Homelike provides a booking platform that connects business travelers with furnished business apartments. The company partners with a network of apartment suppliers, tapping into their portfolios to offer units that meet strict quality criteria and are specifically tailored to the needs of business travelers. An integrated unit management system allows suppliers to track bookings, invoices, rental agreements, and unit performance. Its interface, which includes individual corporate logins and user management (e.g. user rights management) as well as digital travel management with travel policy configuration and third-party integrations, enables corporations to manage temporary housing across their entire organization. Homelike also handles the monthly payment process including invoicing with VAT, processes electronic signatures of online rental agreements, and offers a premium insurance to its users in cooperation with AXA. The company currently serves over 15,000 corporate clients across the globe, including Capgemini and Thoughtworks, and ranging from small startups to large multinational corporations in various industries and locations, offering 45,000 furnished apartments. To date, Homelike has accommodated guests for over 700,000 nights across 100 European cities including: London, Berlin, Munich, Hamburg, Cologne, Stuttgart, Heidelberg, Vienna and Zurich. The company currently employs 85 employees and is hiring in all areas, especially in tech and product.